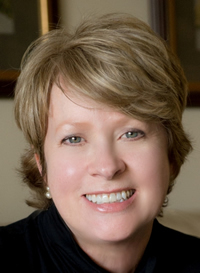 Author Lane Stone splits her time between the D.C. area and Lewes, Delaware. STAY CALM and COLLIE ON is set in Lewes, a town with a real-life population a smidgen over 3,000— a number that might suggest that the locals all know each other. Stone capitalizes on her knowledge of the town and roots much of the action in actual locations. One can easily imagine her characters walking down the street among the tourists. Characters like Stone’s protagonist, Sue Patrick. Patrick is co-owner of Buckingham Pet Palace, an upscale dog daycare and spa. Her business partner is Lady Anthea Fitzwalter, a proper Brit with a sly wit. Together, the two have a savvy and successful business model–despite never having met in person. But that’s about to change. Lady Anthea arrives in town for a stay that will conclude with the Pet Parent Appreciation Gala at week’s end. The town is abuzz. But even the best laid plans can’t prevent anticipation from going sideways when a murder occurs. Now Buckingham Pet Palace’s reputation is on the line when their driver is murdered and a swift moving rumor threatens the presumed success of the gala. The two women who have just met must now team up to save their business—and perhaps catch a killer. 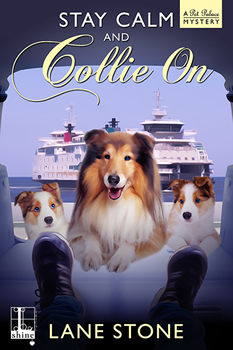 Lane Stone took some time out of her busy schedule to talk to The Big Thrill about her latest cozy mystery, STAY CALM and COLLIE ON, A PET PALACE MYSTERY. How was Sue Patrick born? My mother’s name was Sue, my dad’s Pat. While my intentions were good, it made developing the character harder than it had to be. When you’re thinking about your parents, without meaning to you can be more conservative than you would be otherwise. Just how out there do you want them to be? It took a lot of pushing through to overcome that tendency and let her be her own person. Other than her name, the idea came to me after I was in a situation and thinking about how I didn’t want to be there. I kept thinking this just isn’t for me. From there, I was thinking about how sometimes people imagine an indictment against their life choice: if you decide, say, not to get married, not have children, not work for a corporation. I wanted to write a character leading a truly authentic life. That is Sue Patrick. What would Sue’s 50 word bio be? Sue Patrick is co-owner of Buckingham Pet Palace in Lewes, Delaware. After college she worked as a dog walker, sitter, and trainer in one East Coast beach town after another. That beach bum existence allowed her to lead a truly authentic life. At 36, she came home to Lewes. 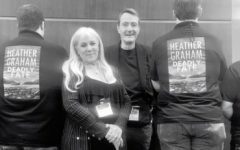 What authors do you read? Do they influence your work? I started reading Agatha Christie in my twenties. She seemed in control of her characters and her story. And I love smart sleuths. As time went on, I learned more about the genre. I was drawn to the belief that evil or chaos can be overcome by society—like in a police procedural—or by one well-meaning individual. Someone told me about E.F. Benson so I bought a Lucia book. When I tried to read it, I hated it. I thought it was just too silly. The next time I went to my TBR books, I tried again and had the same reaction. Then my mother died. During that first month of hearing a new joke or a new country song—and starting to call her—I happened to pick up this book. I thought it was the funniest, most clever writing ever! It got me through a rough time. I knew that for a few minutes out of the day I would smile. I would be fine. I knew right then that that’s what I wanted to do for a reader one day. Today’s romance writers inspire me, too. They are great businesswomen and men. They’re tech and media savvy, and analytical about where their sales come from. I’m really in awe of them. I’m a proud outliner. I like plotting and writing as two separate jobs for my brain. My contract calls for a book every nine months so I can’t fool around. Sure, there are changes when I write. My outlines are to writing what a stick figure is to a visual artist. No wordsmithing allowed. Do you have a sacred place in which to write? We have two houses because my husband is determined to be the oldest working man in Washington, D.C. During the week we’re in Alexandria, Virginia, and I write at the local Panera. I have to get far enough away so the laundry can’t call to me. On the weekend, I’m in Lewes, and I write in the screened porch or in my office. Honestly, going between two places with vibes as different as D.C. and LSD (Lower Slower Delaware) is stimulating, and I love it. Writing is my day job—if your dream job can be called a day job, that is. I also do a lot of volunteer work. I’m in AAUW, American Association of University Women. I’m co-president of the Alexandria, VA, branch and on the state board as our College/University Partner Chair. This is an organization that published a report in the 1950s refuting the claim that a college education could lead to infertility of a woman. I’m on the board of the Delaware River and Bay Lighthouse Foundation. STAY CALM and COLLIE ON is dedicated to the board. And I’m on the Political Science Advisory Board for my alma mater, Georgia State University. There are so many good causes and such need out there, and that’s reason enough to volunteer, but there’s more. I’ve heard it called “actively curating input.” I firmly believe you’ll be a better writer if you are out in the world, interacting with new people, and hearing about their lives. Her debut mystery series was Tiara Investigations Mysteries. Next she co-wrote a romantic suspense, Maltipoos are Murder. Her new series is the Pet Palace Mysteries, with the first book launching in November. When not writing she’s enjoying characteristic baby boomer pursuits: traveling and volunteering. Her volunteer work includes media and communications for the Delaware River & Bay Lighthouse Foundation. She’s on Georgia State University’s Political Science Department Advisory Board. She serves as College/University Coordinator for the American Association of University Women for Virginia and on Northern Virginia Community College’s Women’s Center External Advisory Board. She is currently pursuing her post-graduate certificate in Antiquities Theft and Art Crime. Her standard schnauzer, Abby, tweets as TheMenopauseDog. To learn more about Lane, please visit her website.